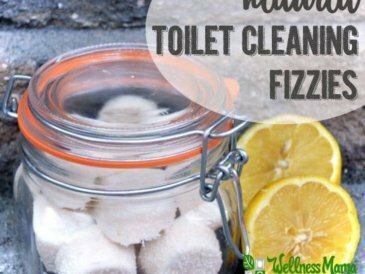 I’ve been using washing soda (also called sodium carbonate) in my natural cleaning for years. 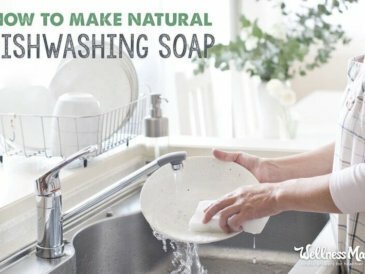 It is an ingredient in my homemade laundry soap and all-purpose cleaners and I’ve found dozens of other ways to use it around the house as well. Sodium Carbonate, commonly called Washing Soda or Soda Ash, is a water-soluble sodium salt of carbonic acid. Its proportions of sodium, carbon and hydrogen make it effective as a natural cleaner and cleaning booster. It can be obtained from natural sources like the ashes of plants that grew in certain types of soil or created synthetically. It has a fascinating history of use in glass making, film developing, taxidermy, cooking and chemistry but I am most fond of it for its simple household uses. Where to Get Washing Soda? Even in our relatively small town, washing soda is easy to find on the laundry aisle of the grocery store and it is also available in boxes and in bulk online. 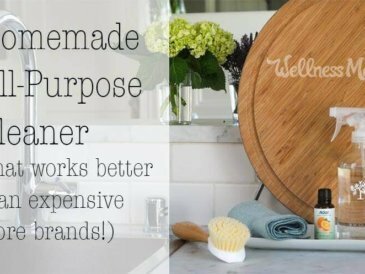 I’ve always just purchased it because it is so inexpensive and versatile and easy to find. I’ve gotten many comments from readers who don’t live in the US or who live in very rural areas asking if there is a substitute if they can’t find it in their area and a few other readers chimed in that they’ve been able to make it at home from baking soda (sodium bicarbonate) which seems to be available practically everywhere. The process of turning sodium bicarbonate into sodium carbonate is a simple chemical reaction that can be easily accomplished in an oven! In short, using enough heat for a long enough period of time will change the structure of sodium bicarbonate into sodium carbonate while releasing excess carbon dioxide and steam.Bonus points if you try this simple method and turn it into a science lesson for your kids at the same time! 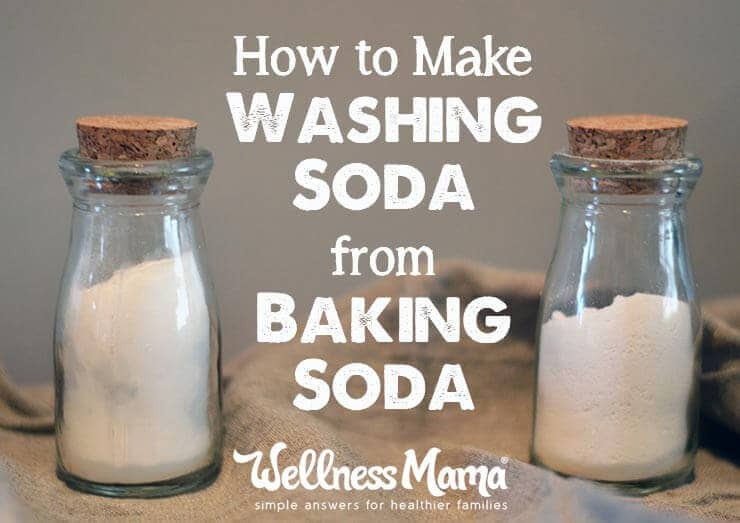 If you have an oven and are feeling crafty, try this simple method of making washing soda. 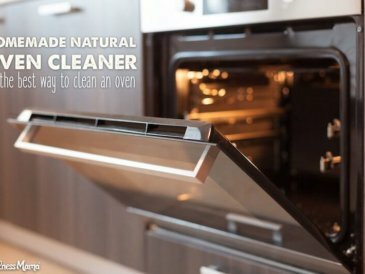 Another bonus is that baking soda is typically even less expensive (especially at big box stores) and making this at home can help further reduce the cost of budget-friendly cleaning recipes. Bake for 1 hour, stirring 1-2 times in the middle, or until it has changed in look and feel. Baking soda has a silky/powdery feel and washing soda is more grainy and not silky. The baking soda will need to reach the full 400 degrees for this reaction to take place, so give it time. 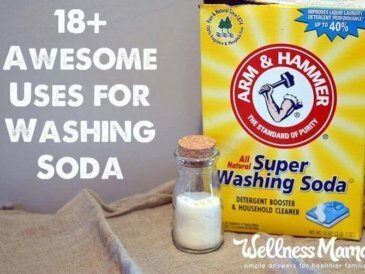 Use this homemade washing soda as you would store-bought in natural cleaning recipes, laundry soaps and more! 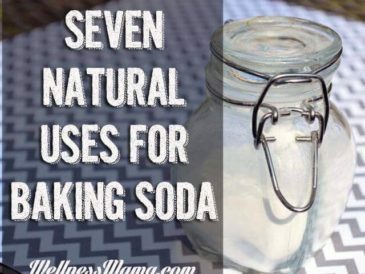 Ever tried to make Washing Soda at home? Many thanks to reader Erin for the email with the tip on how to make it!